It was November 1992. Somewhere in between Bill Clinton being voted 42nd president of the United States and the Church of England allowing women to become priests, a copy of Australian “newsy tabloid” Who Weekly would have arrived at The Late Show headquarters. Poking fun at celebrities was what The Late Show cast did well, and the special Who issue presented a brilliant opportunity for the satirical series. Comedians Tony Martin and Mick Molloy, armed with a copy of Who’s Best and Worst Dressed, took to the Melbourne streets and asked a slew of random passers-by who they thought were Australia’s worst dressed people. For fans of The Late Show‘s street interview segment, there are some classic one-liners: the old man saying, “I probably would,” when Tony and Mick ask if he would wear Elton John’s garish get-up for a dare. Mick’s famous, “Deliah considers herself somewhat of a doyenne in the fashion industry.” The witty, “I wish [Dannii] would put everything she owned on at once.” Then of course, the elderly man who shouts, “Bloody Jeff Kennett!” and cycles off on cue. So there you have it, folks. 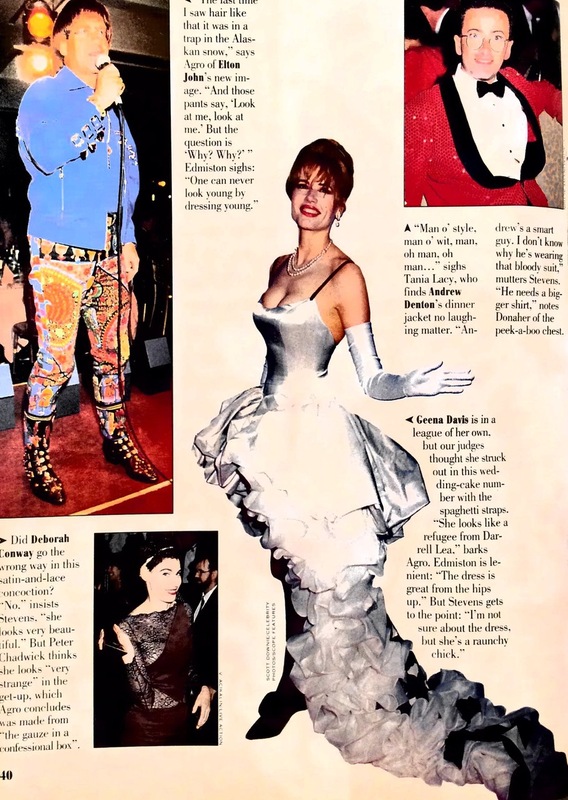 It is fair to say that the early 1990s were not kind to fashion. We all seemed to wander around in baggy jeans and T-shirts worn underneath shirts (which were often also denim.. double denim, the horror!) — and this goes for both men and women. Somewhere in between powerful 80s shoulder pads and Jennifer Aniston hair, lived a kind of “limbo” era of style where people seemed to dress in the dark or wear random combinations of tops and bottoms. Thankfully, there were some exceptions to the rule. If one good thing has come out of it, Dannii has learned her satrorial lessons the hard way, and has a far better sense of style these days. It’s time for me to stop wearing t shirts under my shirts. Always a good look. Well, in 1992. These ‘best and worst dressed’ lists are so malicious. Who decides what fashion is, anyway? Who shapes our views of what looks good and bad?